Plug Power, a leading developer of hydrogen fuel cells, has plans to begin testing its GenDrive energy systems as potential range extenders for battery-powered delivery trucks. Electric vehicles are somewhat notorious for their relatively poor operational range when compared to more conventional vehicles. As such, electric vehicles are often avoided by consumers and businesses due to the inconvenience they represent. Hydrogen fuel cells may serve as effective range extenders for electric vehicles, thus solving the problems associated with low operational range. Hydrogen fuel cells are being used as the primary energy system for a new generation of vehicles coming from automakers around the world. These energy systems produce no emissions and can enable vehicles to perform on par with those that make use of traditional internal combustion engines. Fuel cells are not the only solution to clean transportation, of course, as lithium-ion batteries are also being used for the same purpose. 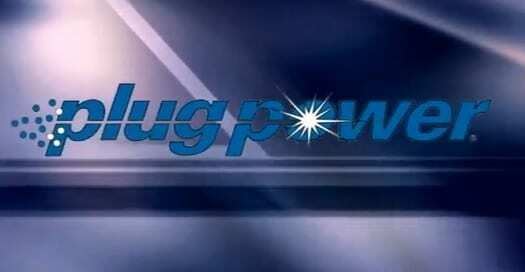 Plug Power believes that fuel cells can be used to augment the capabilities of lithium-ion batteries, making electric vehicles more attractive. According to Plug Power, a 10 kilowatt fuel cell could provide a delivery truck with enough energy to travel all its routes. Current delivery trucks equipped with lithium-ion batteries only have an operational range of 80 miles per charge. Once the battery’s charge has been drained, it can take several hours for the battery to be recharged. With Plug Power’s fuel cells acting as range extenders, however, these delivery trucks could travel as much as 175 miles before needing to recharge. One of the reasons lithium-ion batteries are often chosen over fuel cells has to do with cost. Batteries are typically less expensive than fuel cells. Plug Power believes that 10 kilowatt units can keep costs low while also allowing electric vehicles to benefit from the capabilities of hydrogen fuel cells. The company’s initiative could also help promote the benefits of fuel cells over conventional powertrains, putting some of the concerns that businesses have over the performance of hydrogen fuel cells to rest.